Well. I like the new blocks, and your end design looks very good, but the borders were my favorite part. Maybe you can build another quilt w/ them later. You never know where design will end up! 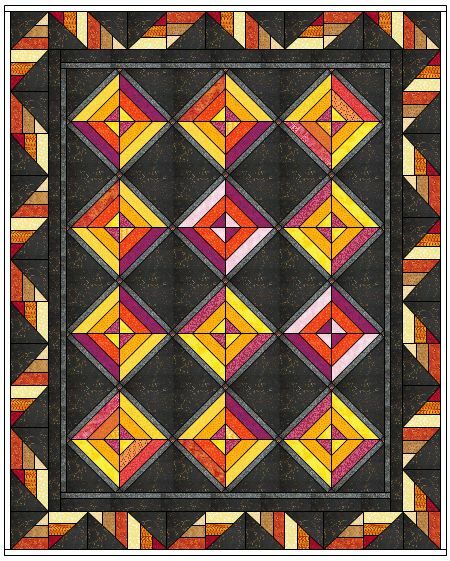 I like the current quilt design. What if you use the ribbon or candy stripe border designs in another quilt. Then on this final design what would it look like if you were to take the blue that is in the crosses and make a wide border, say perhaps 3 or 4 inches wide? This would be on the outside next to the black. Just a thought.